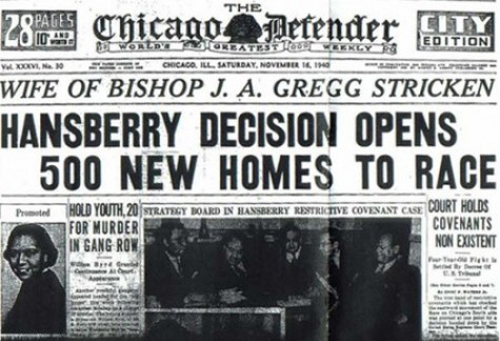 While the Chicago Defender knew the importance of the U.S. Supreme Court’s “Hansberry” decision, most of Chicago’s white (and then, racist) press realized that what the Supreme Court orders for Chicago Chicago can undo. 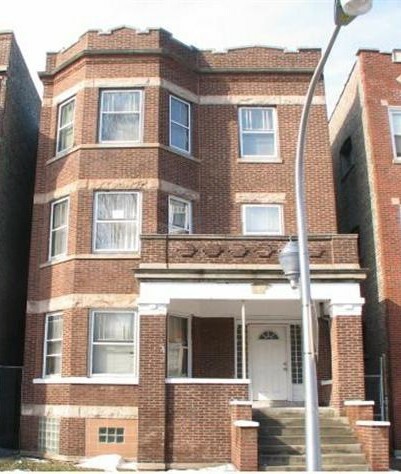 Thus, in the late 1970s, Substance could find property owners on Chicago’s Northwest Side still honoring restrictive covenants that were supposedly declared unconstitutional 30 years earlier — and Chicago had become more segregated than it was when her father’s fight inspired Lorraine Hansberry’s play. Hansberry initially attended the University of Wisconsin-Madison in 1948. However, she found college uninspiring and left in 1950 to pursue her career as a writer in New York City. She took classes in writing at The New School an institution located in New York City. 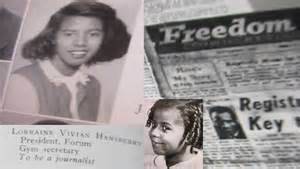 Lorraine Hansberry also worked as an associate editor for Paul Robeson’s radical black magazine, which was titled Freedom. During this time Hansberry met Langston Hughes, a leader in the Harlem Renaissance, a time period during the 1920’s and 30‘s that saw an African American movement and development of literature and arts. 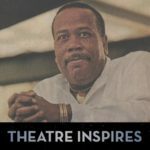 Langston Hughes works would deeply influence Lorraine Hansberry and her theatrical works.